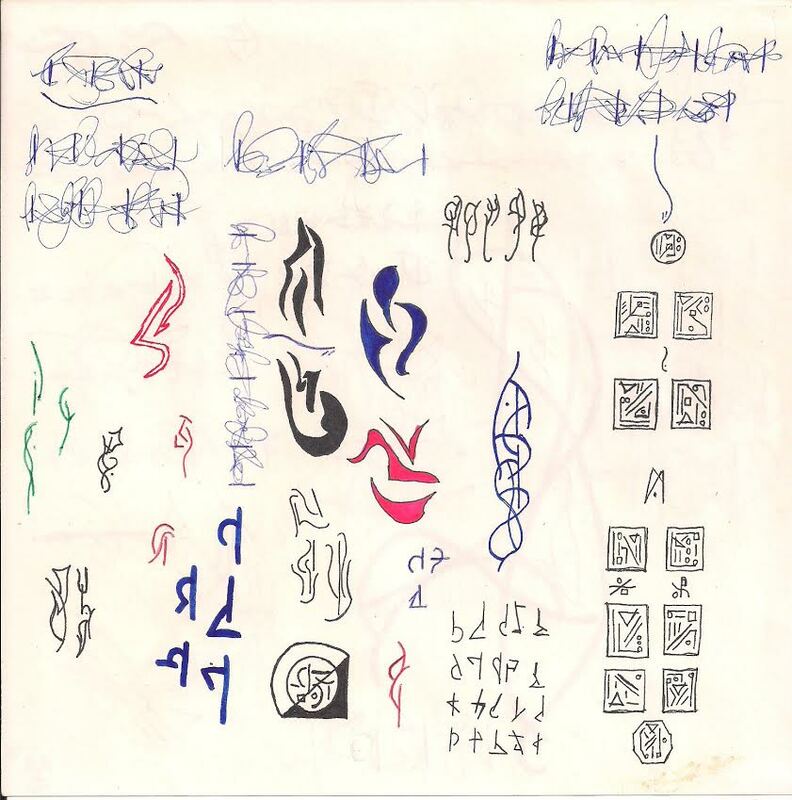 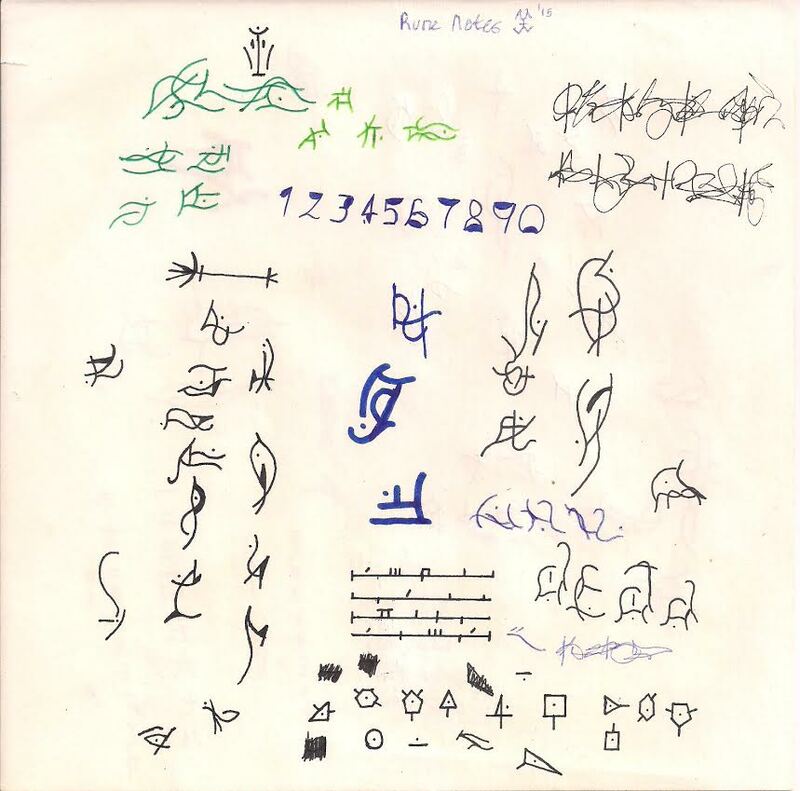 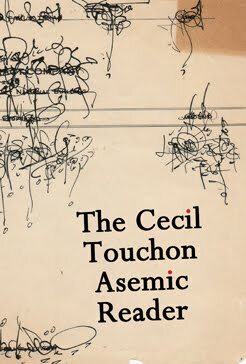 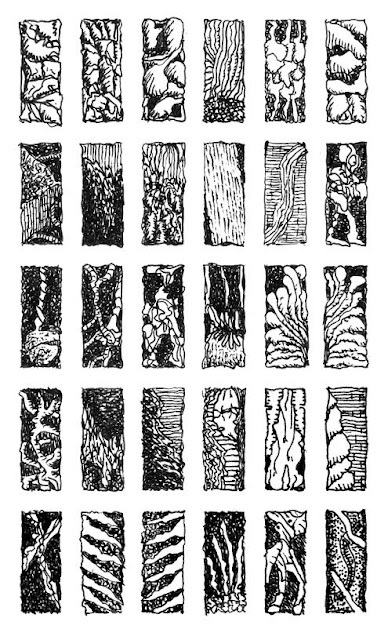 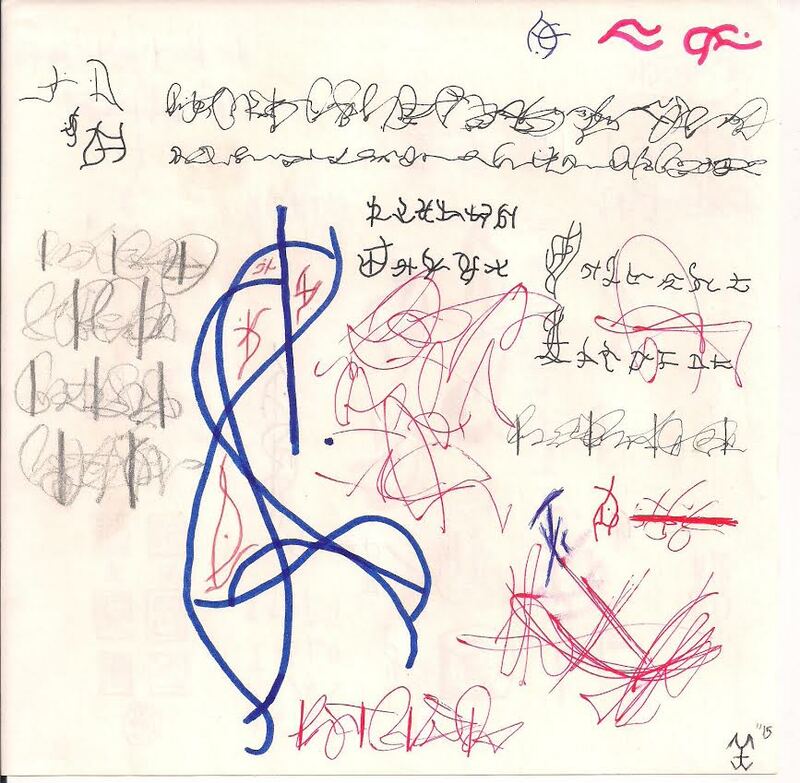 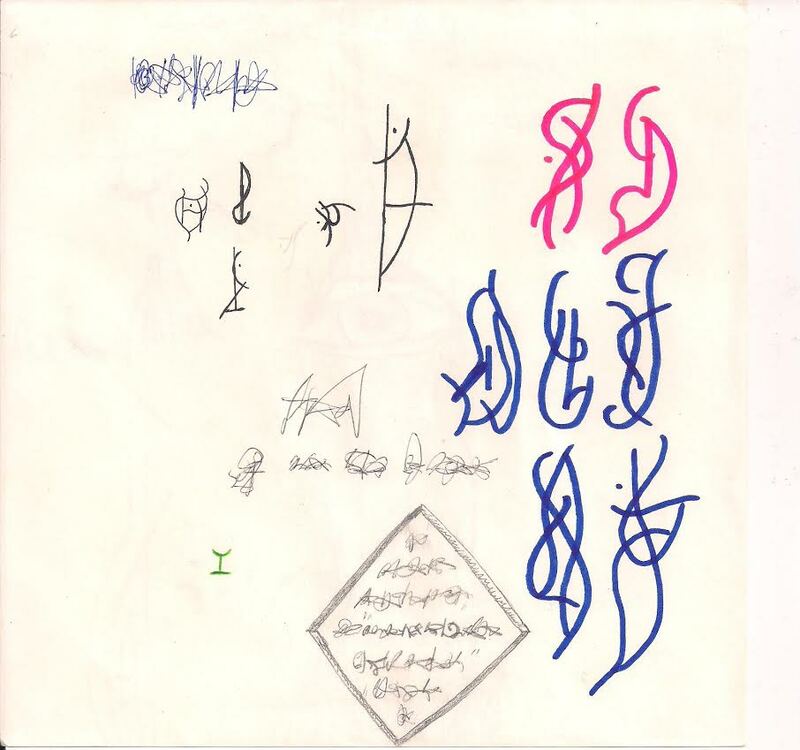 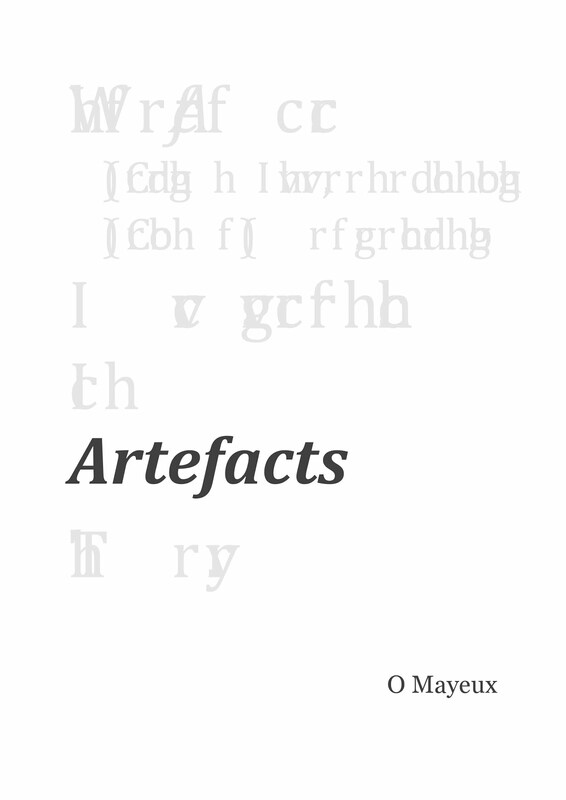 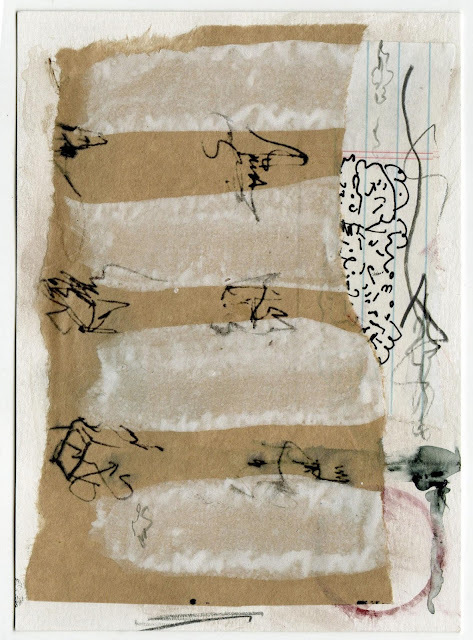 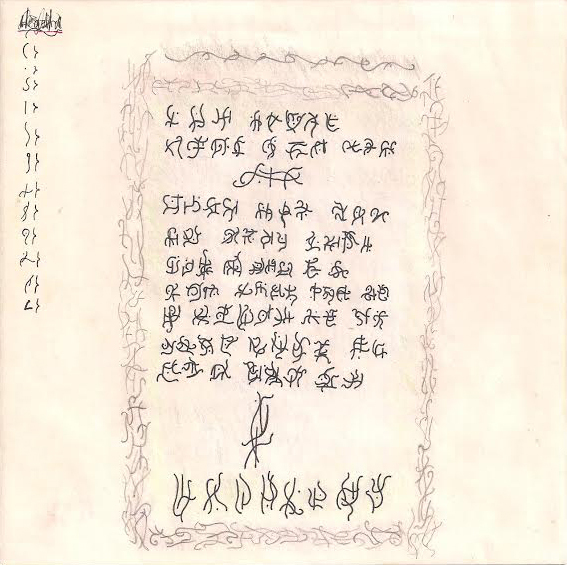 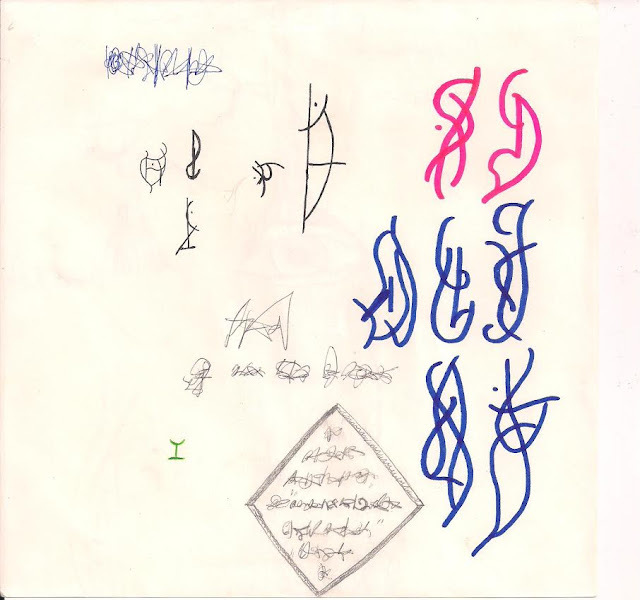 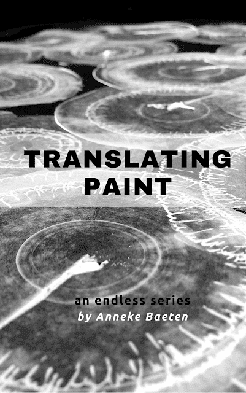 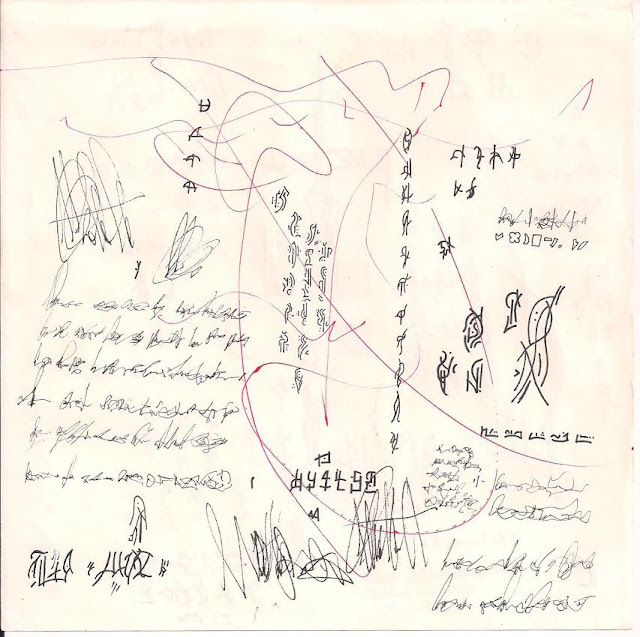 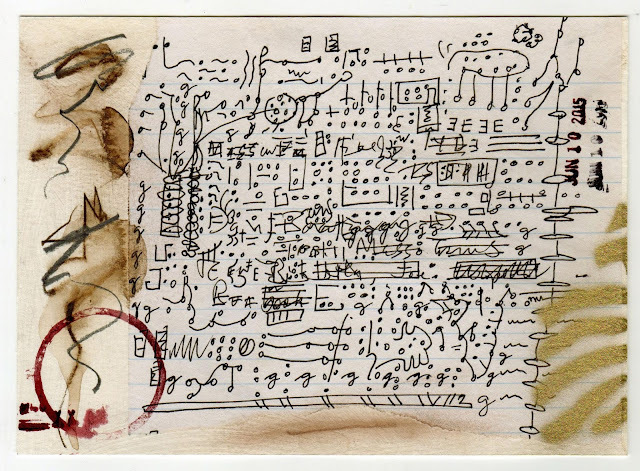 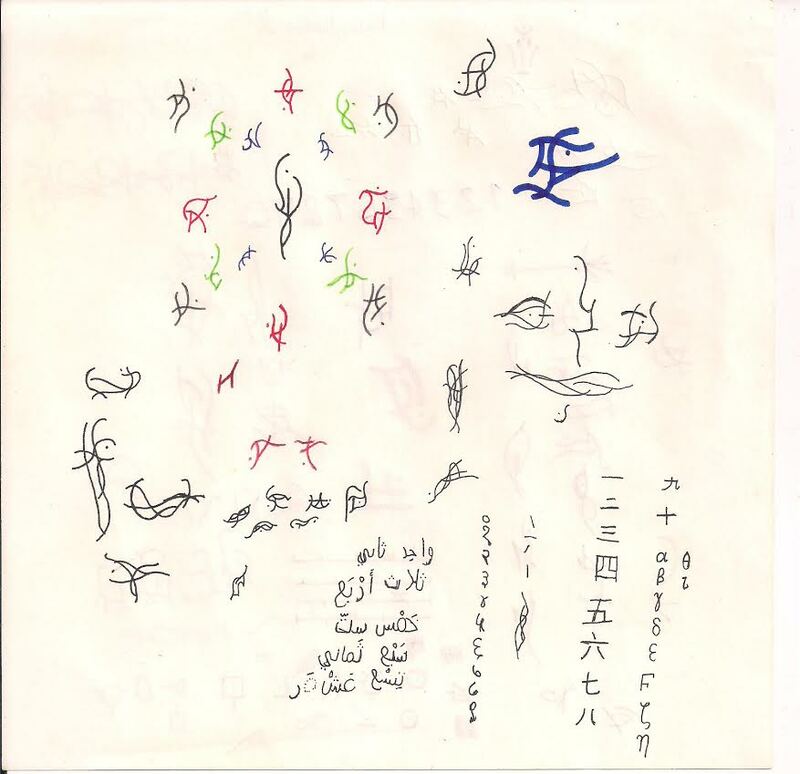 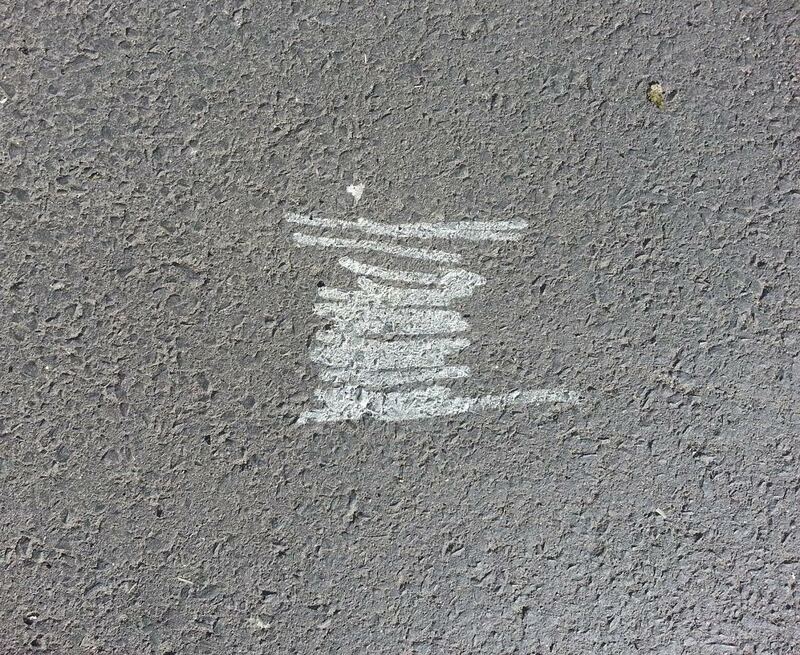 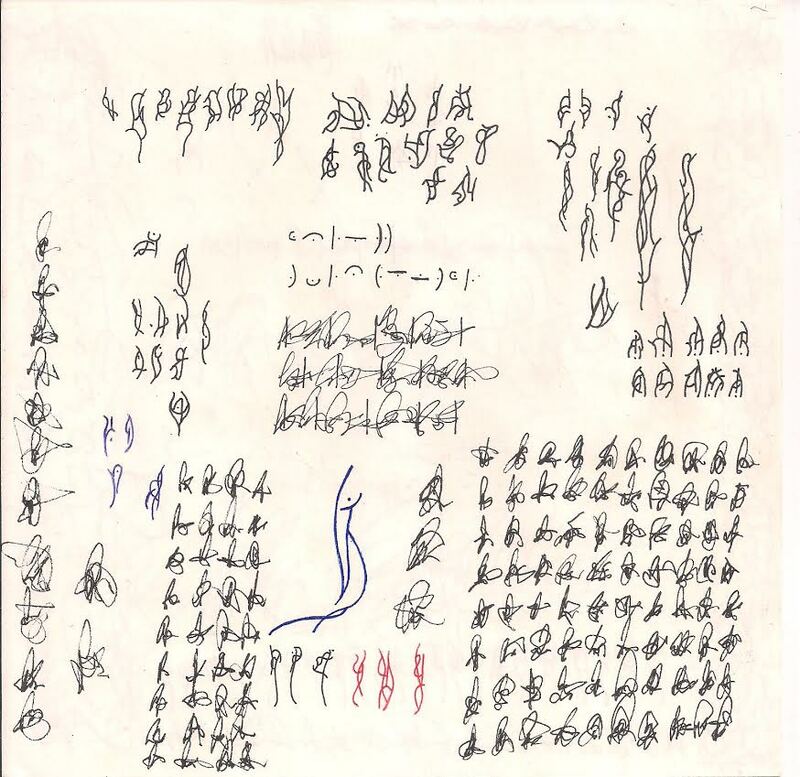 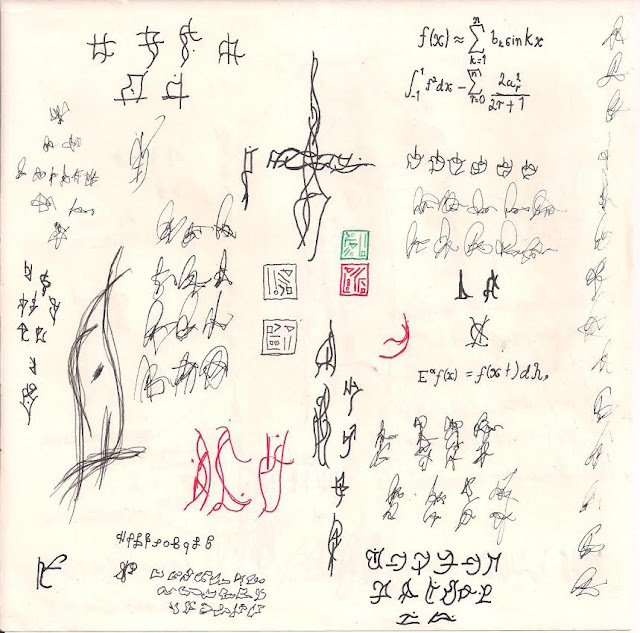 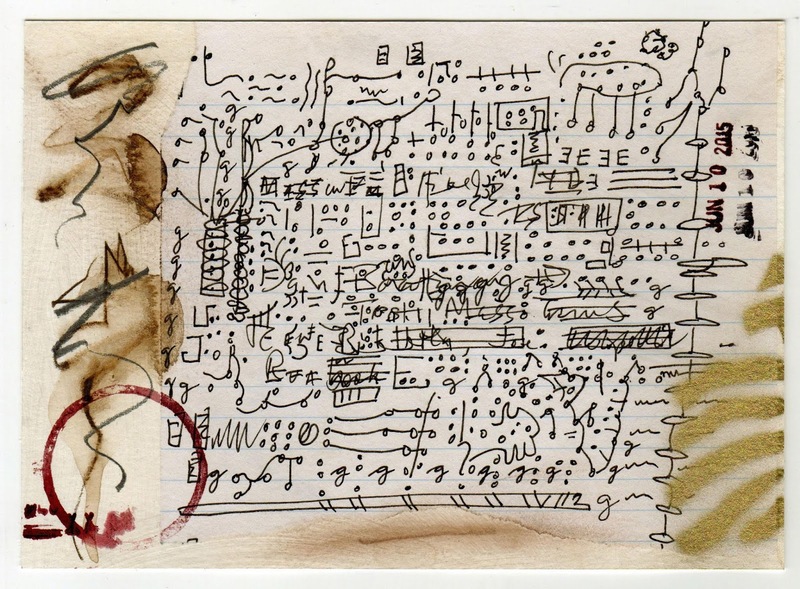 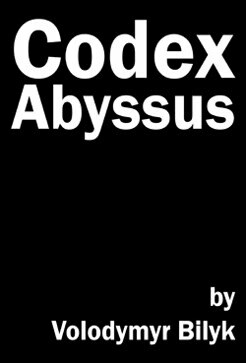 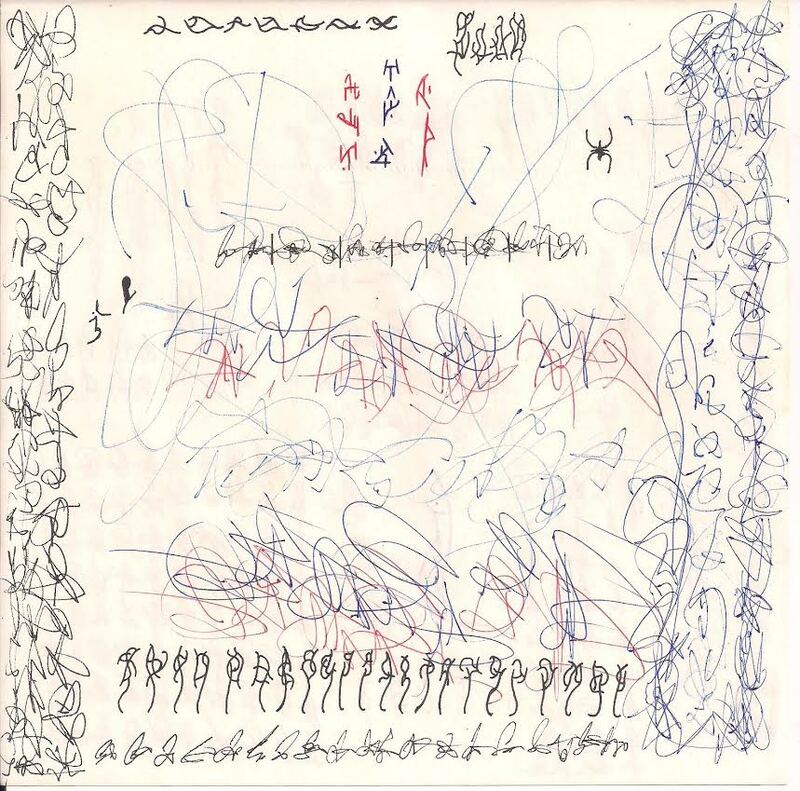 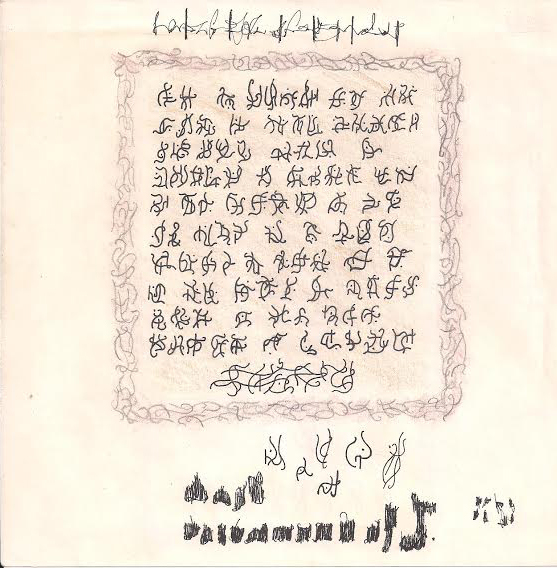 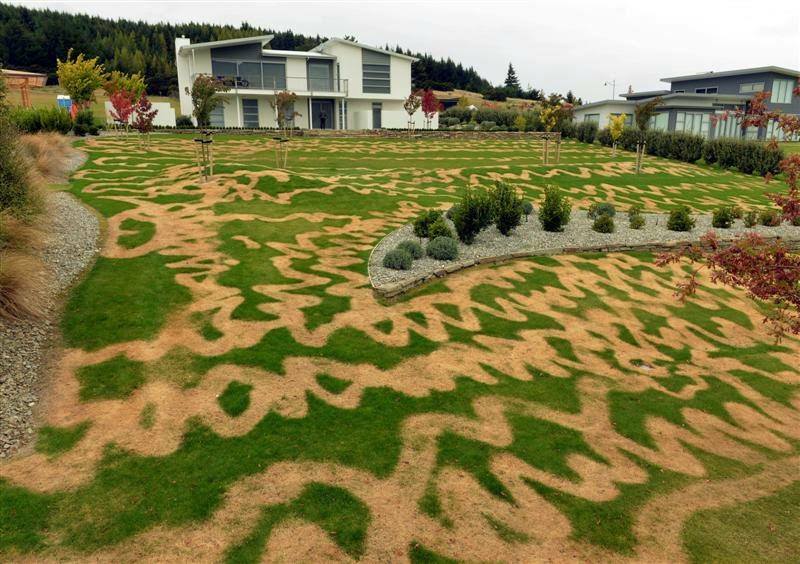 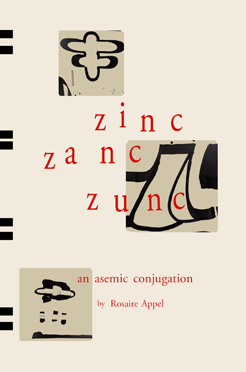 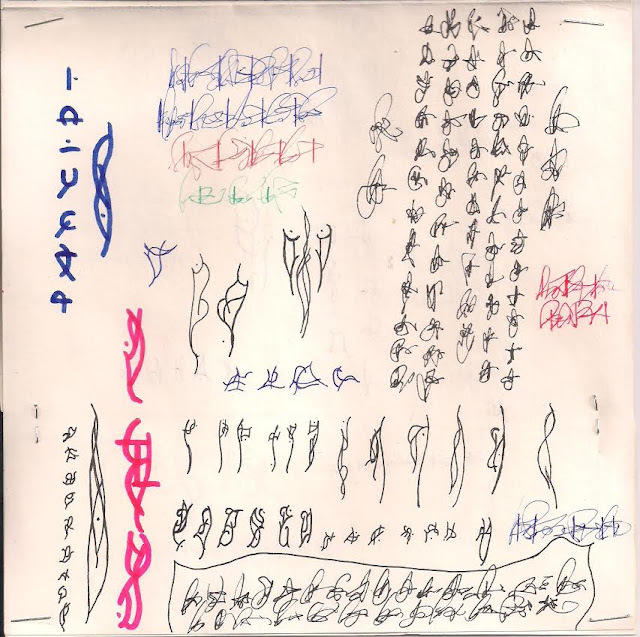 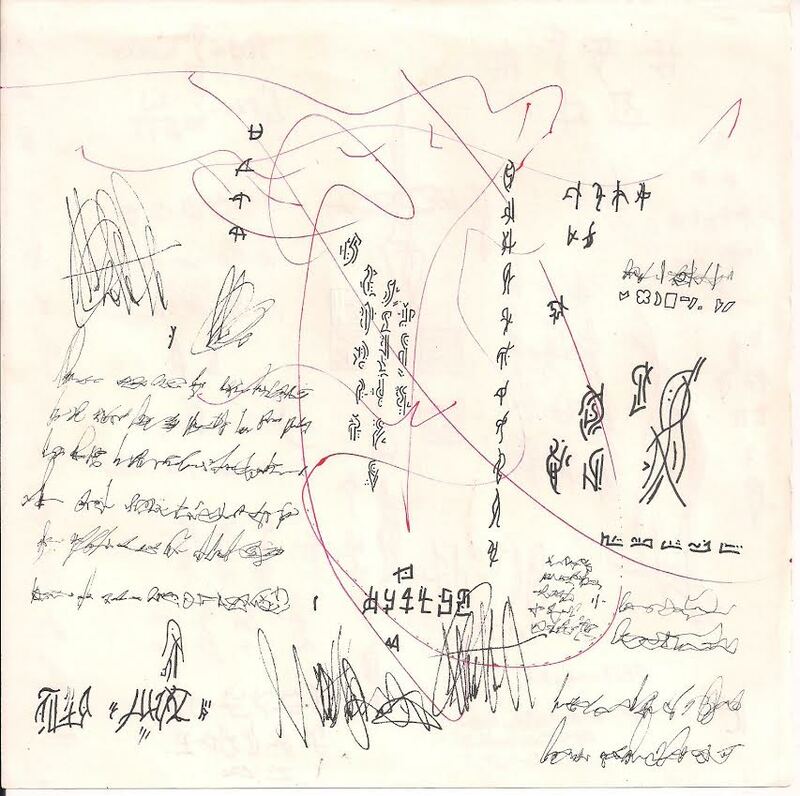 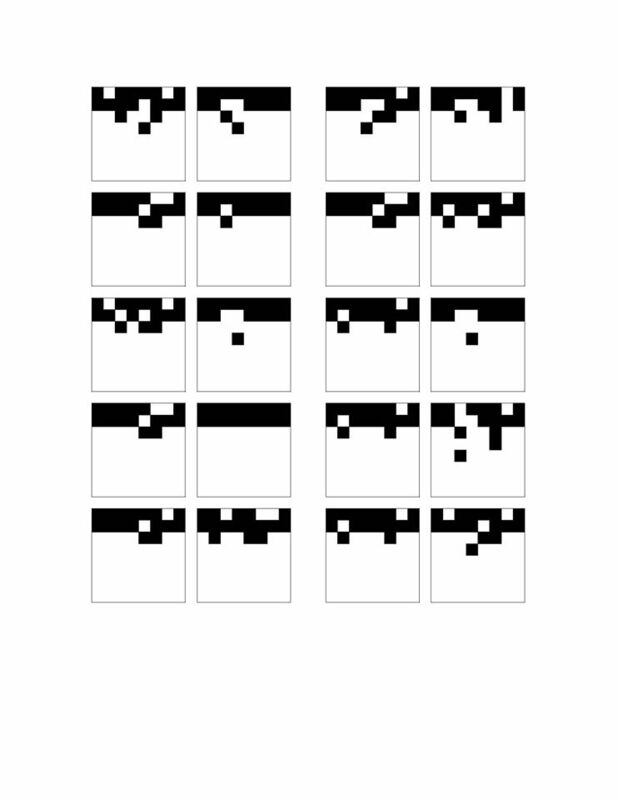 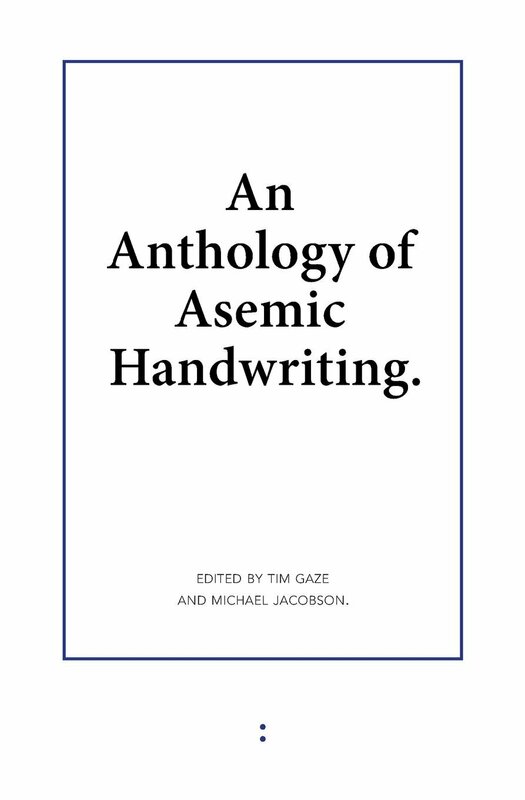 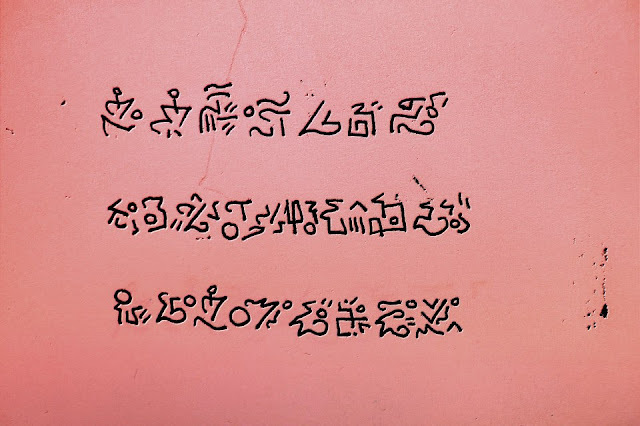 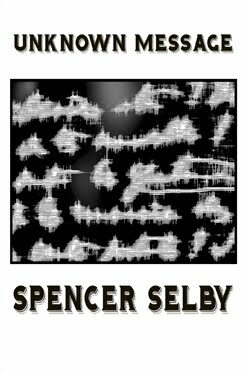 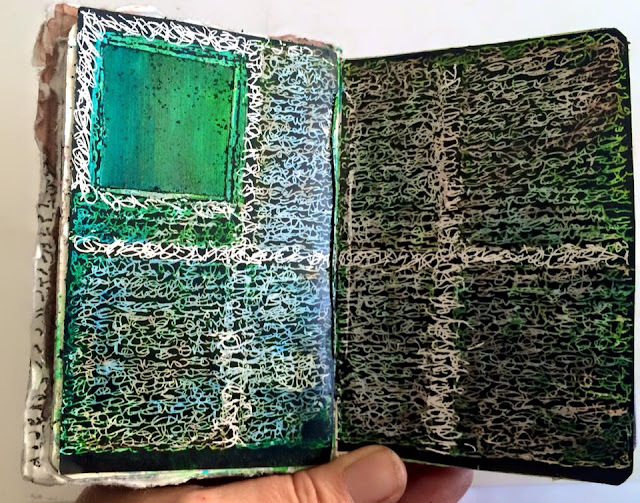 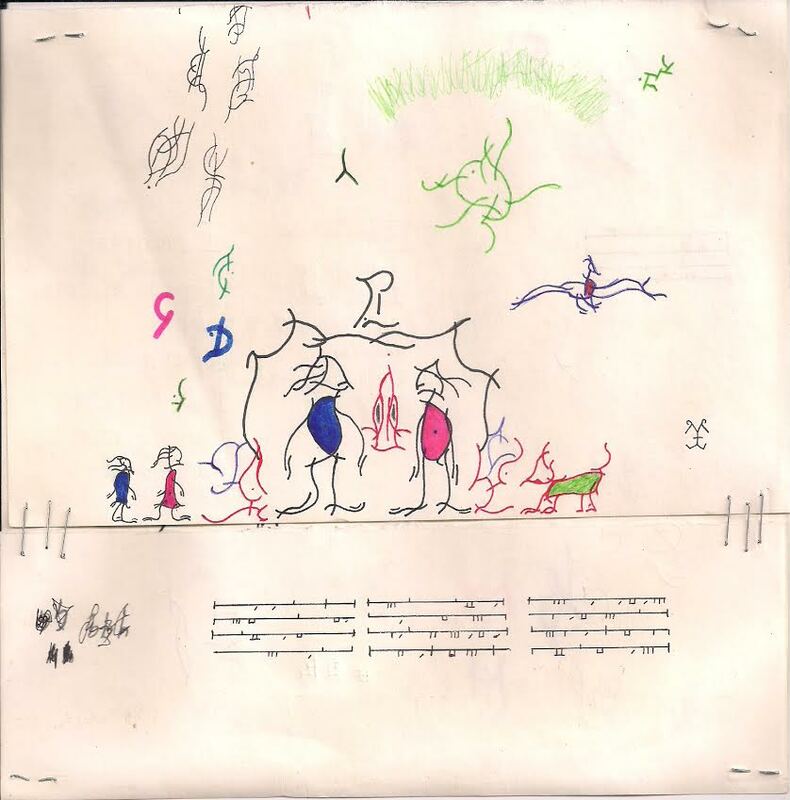 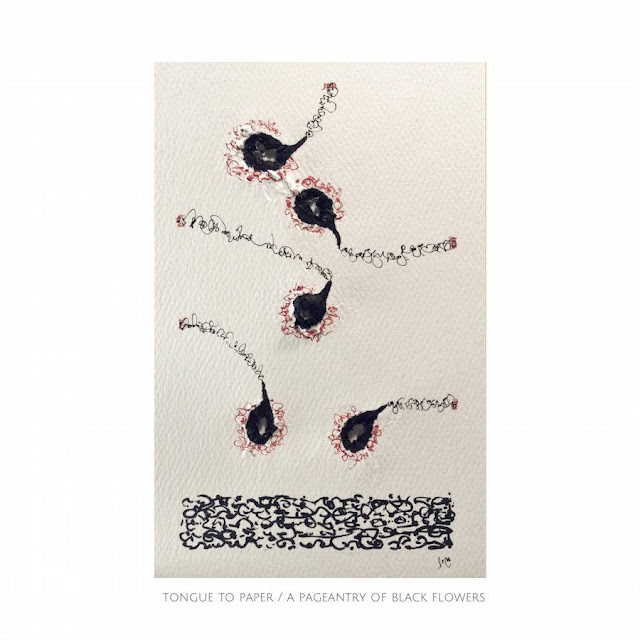 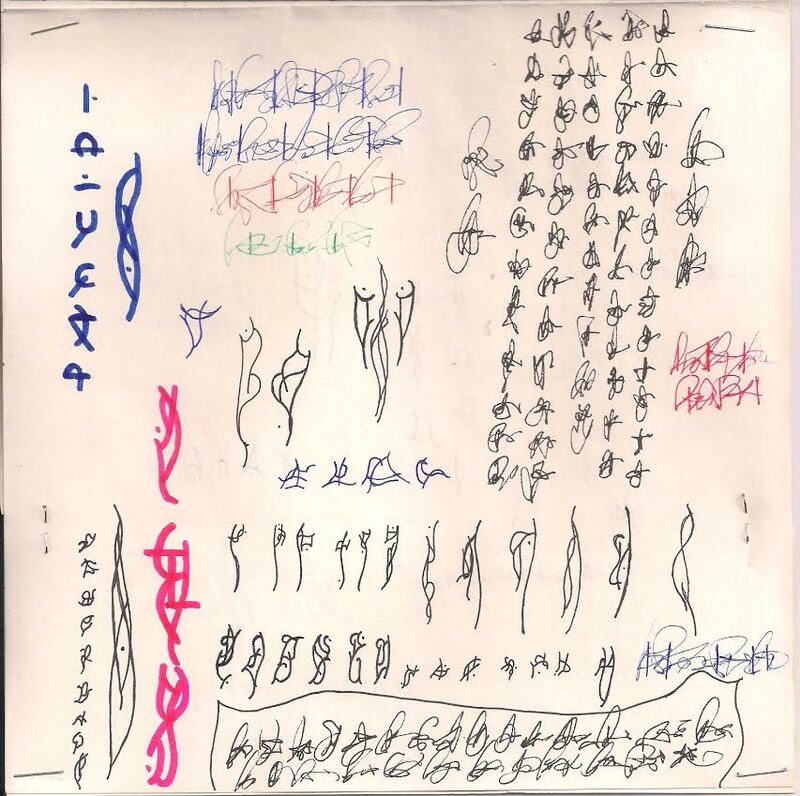 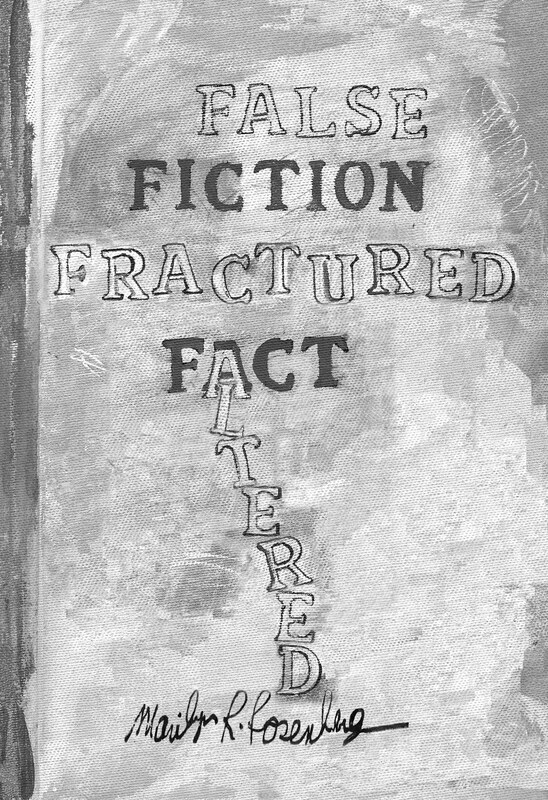 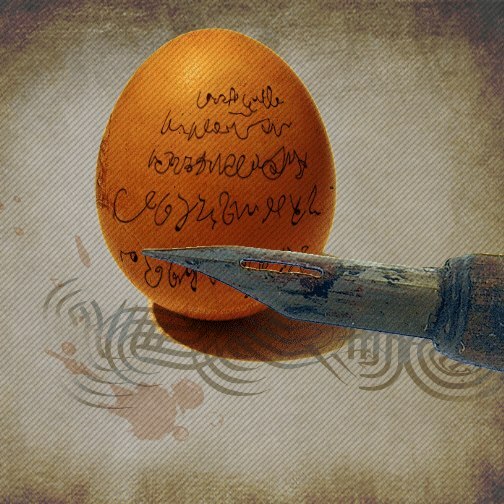 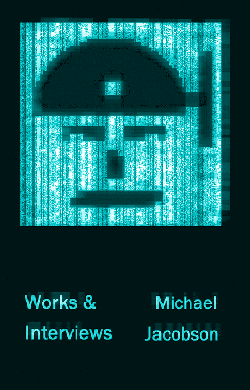 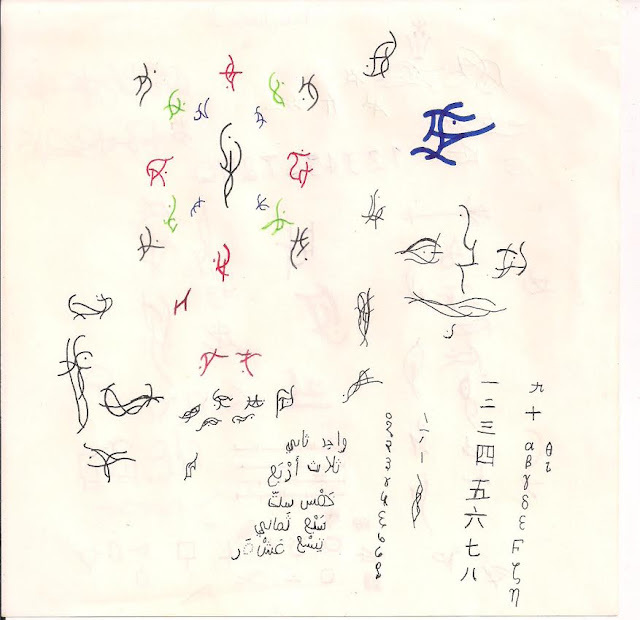 my article on asemic writing, which covers ideas which nobody else seems to be talking about. 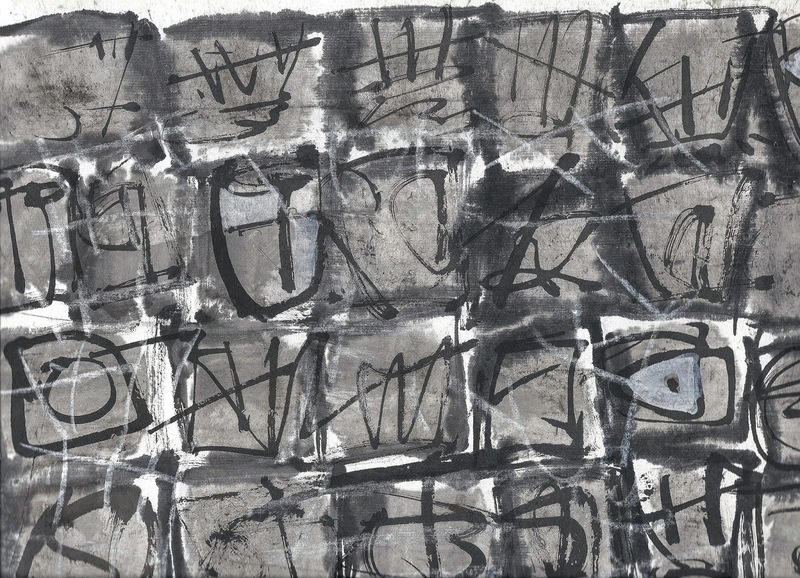 Misty predawn/just into dark, summer, 2014 is on acid free textured heavy paper. 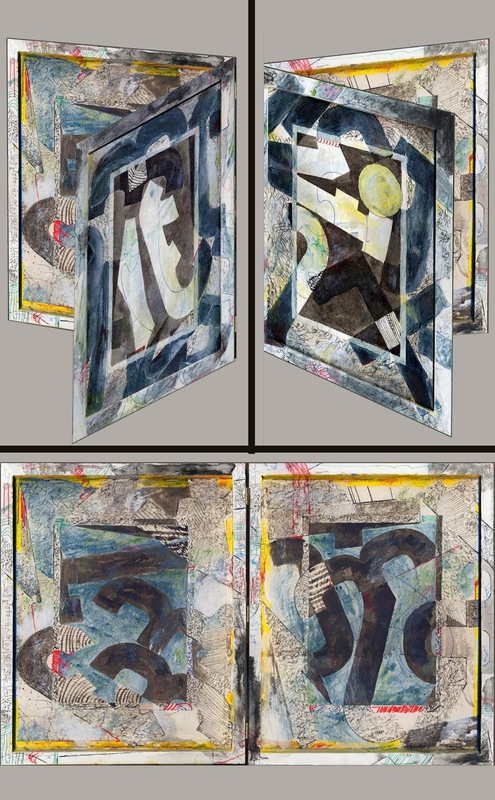 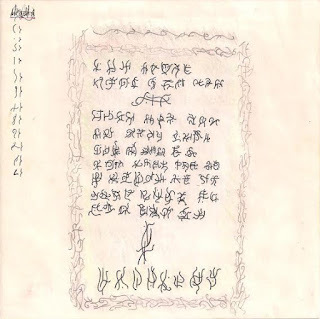 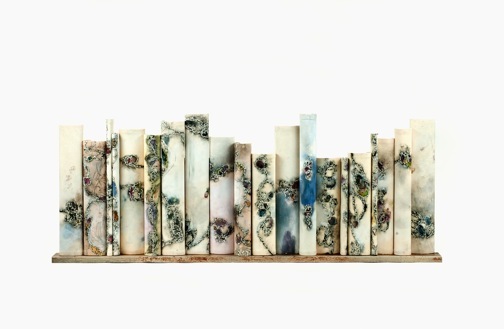 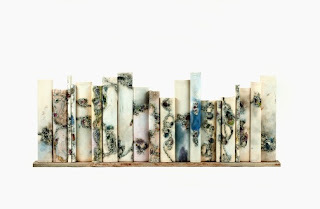 This Asemic visual poema bookwork is two hinged wood frames, flat total 19 inches h by 12 inches w, but standing open 12 inches w x 19 inches h x 10 inches deep. 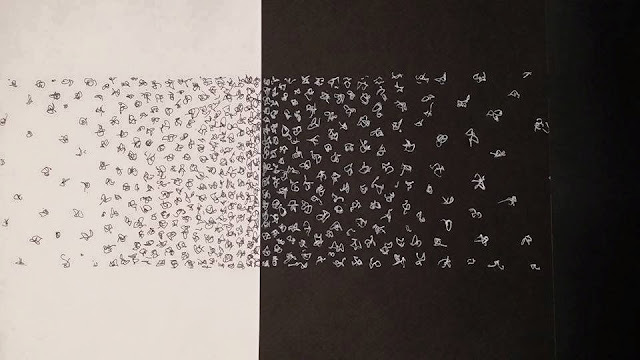 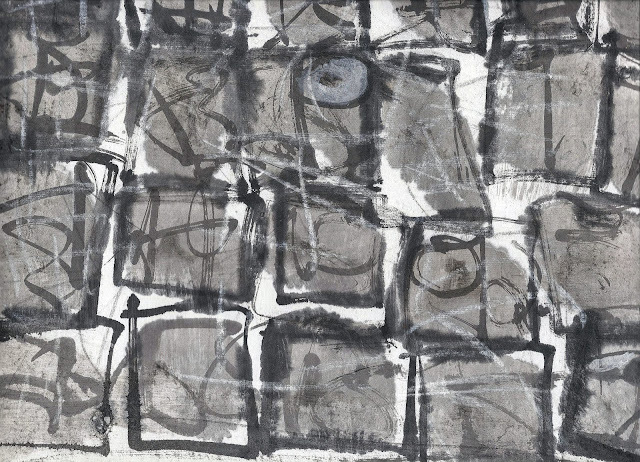 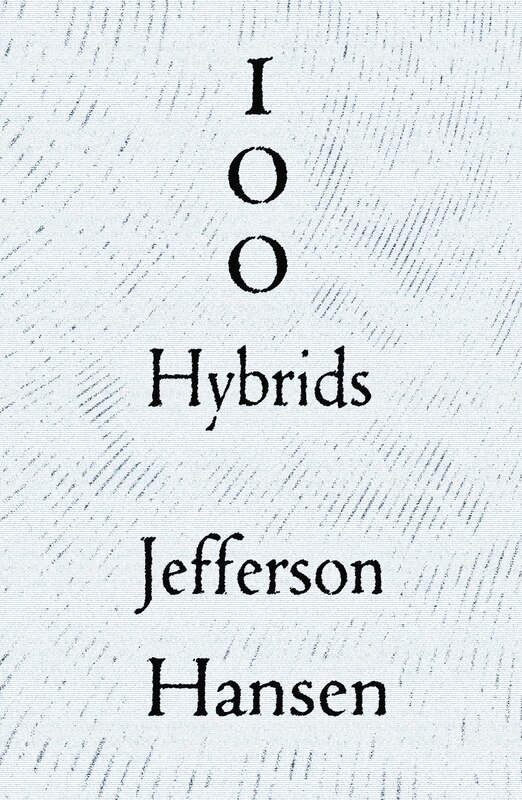 Graphite, acrylic and ink shapes of negative alphabet areas are traced from removed sections of stencils. 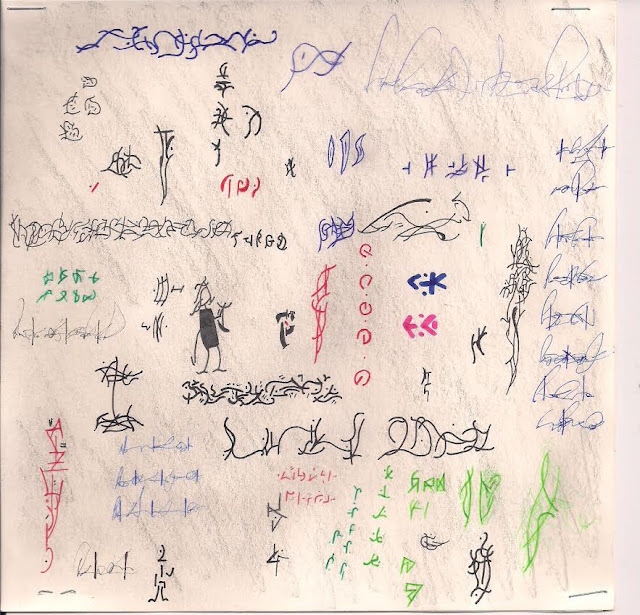 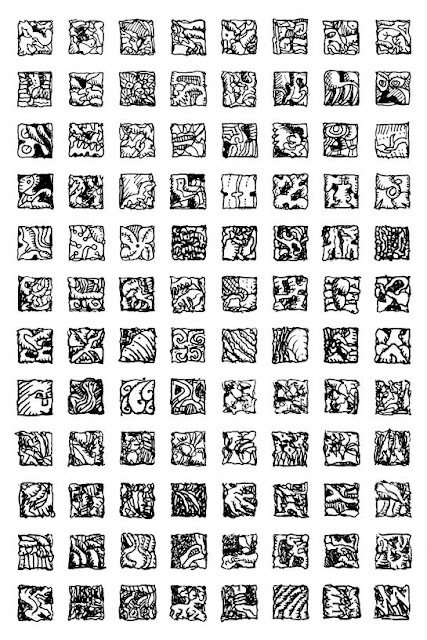 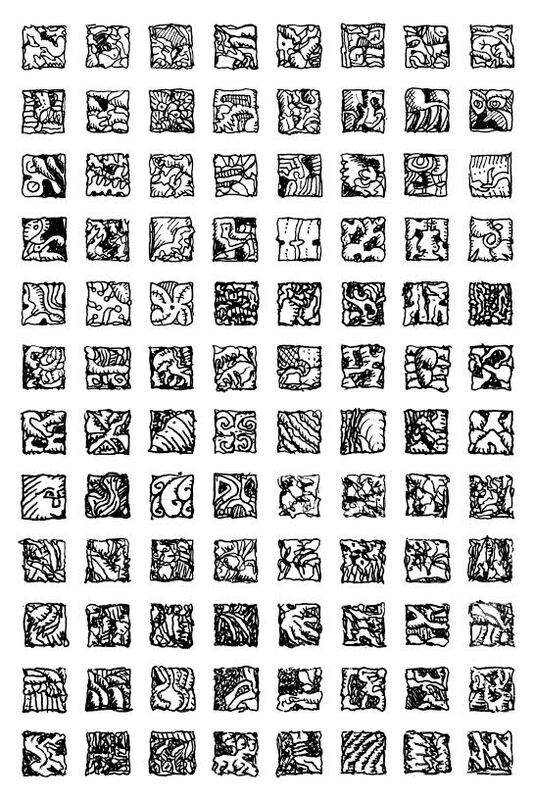 Asemic notes jump in and out.